Kids everywhere are heading Back to School and it's time to celebrate a happy, healthy year of learning and growing. The lovely Heather, from US Japan Fam has put together an amazing mega-giveaway, the Back to School Bonanza featuring some really awesome products for Back To School and those going off to school for their very first time, like Heather's little preschooler. 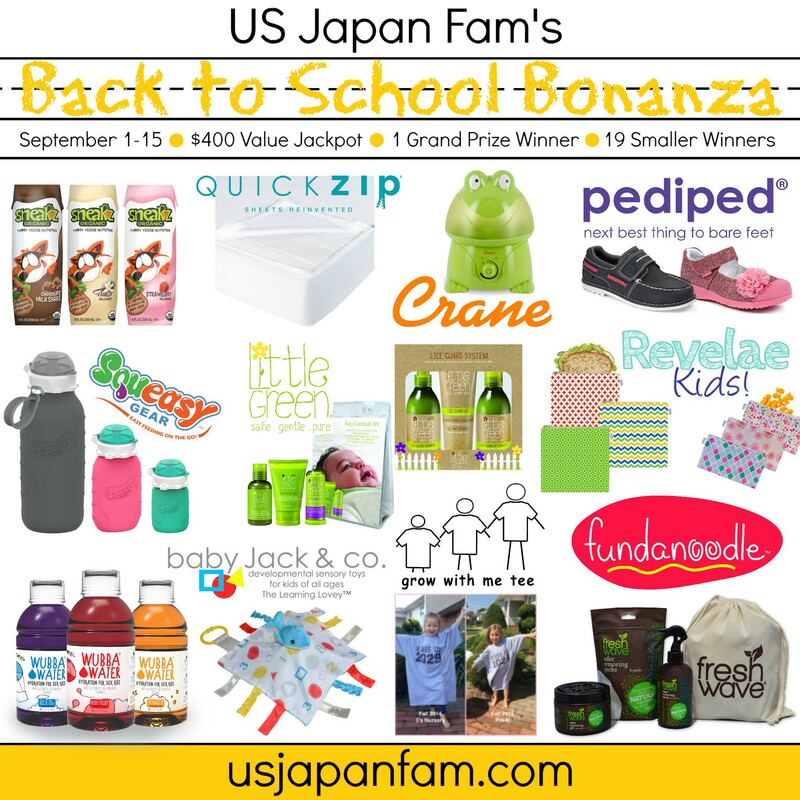 I'm so excited to announce that I am sharing US Japan Fam's Back to School Bonanza where one lucky winner will win the Grand Prize featuring products from 12 premium brands with a total estimated value of over $400 in products. 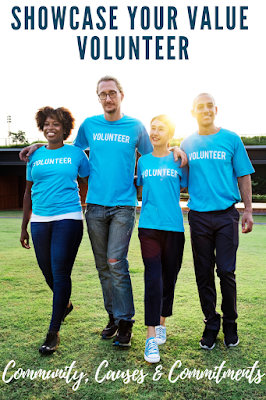 The prize goodies include shoes, lice prevention products, nutritional drinks, food pouches and bags, a humidifier, educational toys, zippered bed sheets, deodorizing packs, and a photo op t-shirt. The second place winner will receive a prize pack from Sneakz Organic and QuickZip, and 18 third place winners will receive a pack from Sneakz Organic. ​Get all of the details about the exclusive brands and products included in the Back to School Bonanza, and enter to win in the Rafflecopter box below. 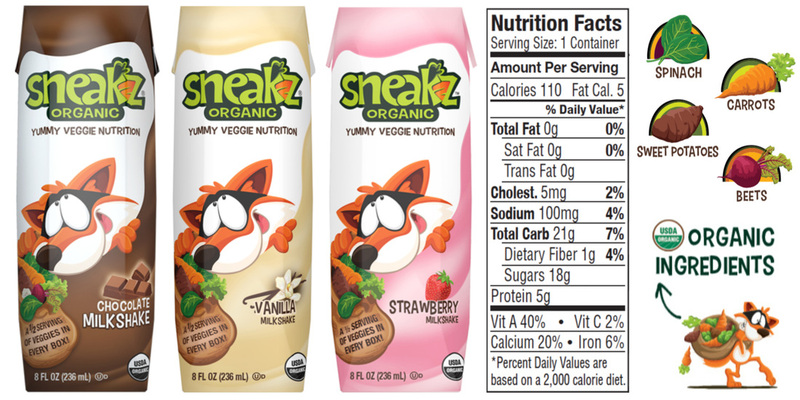 Sneakz Organic flavored milk boxes are certified with no GMO's, are gluten free, feature organic milk from grass fed cows, and are sweetened with natural cane sugar. Each box contains half a serving of vegetables as follows: Chocolate flavor (Carrot, Cauliflower, Sweet Potato, Beet, Spinach), Strawberry flavor (Carrot, Cauliflower, Beet, Sweet Potato), Vanilla flavor (Carrot, Cauliflower, Sweet Potato, Spinach). Twenty winners will receive one milk box of each of the 3 flavors, a lunch pak, and a reusable shopping bag. QuickZip sheets have revolutionized the bedding world - this patented two-piece fitted sheet with a base and a zip-on top sheet is a total game changer and makes changing and laundering sheets a breeze (once base is in place, you don't have to pick up the mattress to change the top sheet). Available for Crib, Twin, Twin XL, Full, Queen, King, and Cal King in 400 thread count sateen, 200 thread count fleece, cotton, or 100% organic cotton. Two winners will have a choice between the Baby Crib Premium Starter Pack and Twin Collection Premium Starter Pack. Did you know keeping the air at the right level of humidity can help prevent illness? That's right - when your nasal passages dry out, they become easy targets for all the germs you encounter out there in the big bad world. 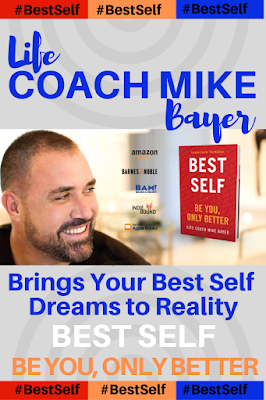 Beyond that, especially in the winter months, you might notice dry skin, chapped lips, stuffy nose, nose bleeds, and static electricity galore. Crane's humidifiers help you avoid all of these by keeping your home perfectly humidified, and they have some pretty stylish options available. 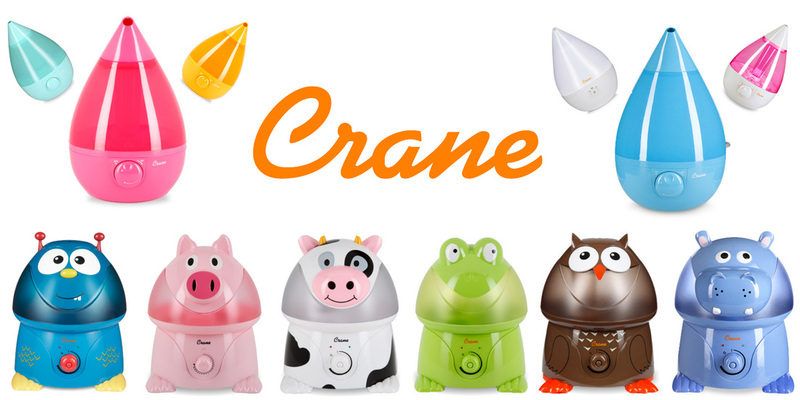 The Grand Prize winner will have his or her choice of a Crane Drop or Adorable Humidifier. Sold in over 2,500 stores in the United States and 40 countries worldwide, pediped offers more than 140 designs for boys and girls between its three lines- Originals® (0-24 months), Grip ‘n’ Go™ (1-3 years) and Flex® (2-12+ years). 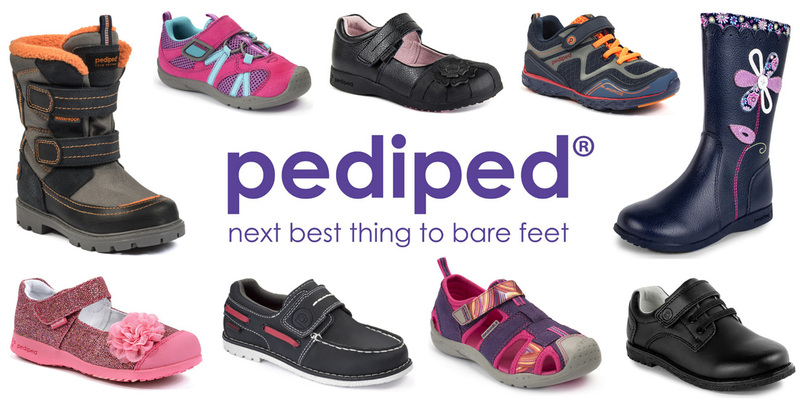 pediped is the fastest growing children's footwear brand in the United States and has been awarded the American Podiatric Medical Association Seal of Acceptance for the promotion of healthy foot development, among many other industry and consumer-based awards. The Grand Prize winner will receive one pair of pediped shoes free - winner chooses gender and size, but the specific design will be a surprise. Squeasy Gear is made of BPA/PVC/Phthalate-free food grade silicone (which doesn't leach toxins into hot/cold food/drink as other plastics can), they're easy to clean (dishwasher or hand wash, and you can even flip them inside out), they stand independently which means you don't have to hold them while filling, they have a removable spill-free insert, and they have a no-leak cap, and they're even freezer safe. Fill them with anything from homemade smoothies to store bought applesauce. 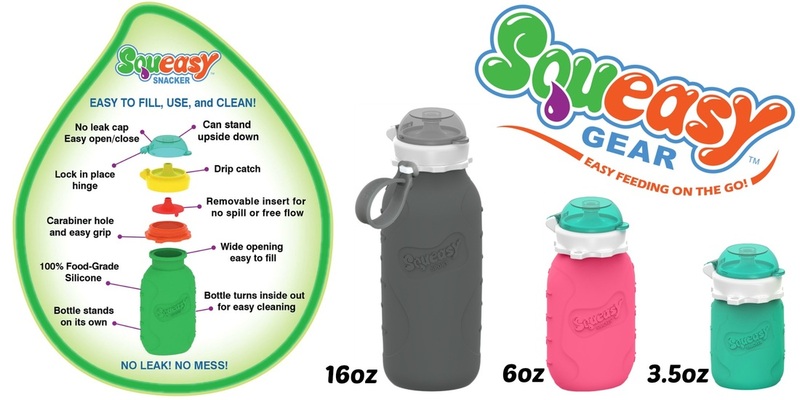 They can even be used for liquids, and their 16oz Squeasy Sport is the most versatile reusable water bottle on the market- when empty, it can be rolled up. Available in kid and adult-friendly colors- green, aqua, pink, and gray. The Grand Prize winner will receive a 3-piece Squeasy Gear set including the 16oz Squeasy Sport, and the 6oz and 3.5oz Squeasy Snackers. 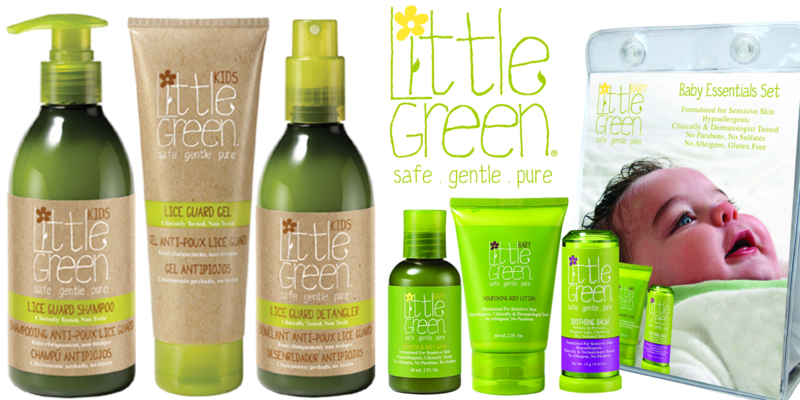 Offering a collection of products for babies and kids that are clinically and dermatologist tested, Little Green is "safe, gentle, pure" with hypoallergenic formulas free of Parabens and Sulfates. The Grand Prize winner will receive two sets from Little Green. The Lice Guard Set is non-toxic and clinically proven to help prevent head lice infestation. The shampoo and detangler help repel lice (with their proprietary blend of natural Tea Tree, Neem, Rosemary, Peppermint, Lavender, and Eucalyptus oils), and the gel helps seal the hair, making it difficult for lice to adhere to. The Baby Essentials Set includes a travel size Little Green Baby Shampoo & Body Wash and Nourishing Body Lotion along with a full size Soothing Balm in a reusable travel bag. 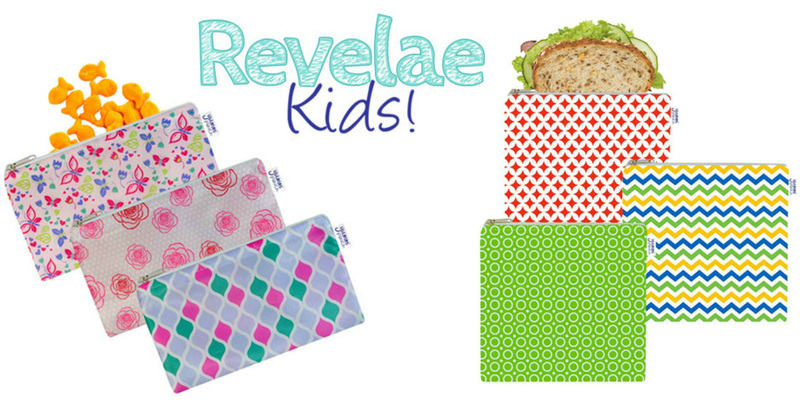 ​Yummi Pouch snack and sandwich bags by Revelae Kids make it easy to pack Eco-friendly lunches and come in 16 modern prints. Perfect to hold sandwiches, dried snacks, fruit, and more! These cute moisture-resistant cloth bags close with a zipper and easily fit in a lunch box or school backpack. The Grand Prize winner will receive a set of 3 snack bags and 3 sandwich bags, and can even choose the designs (as available). From baby diapers to stinky gym bags, kids can bring with them a whole array of odors. But Fresh Wave says, "Life Doesn't Have to Stink!" 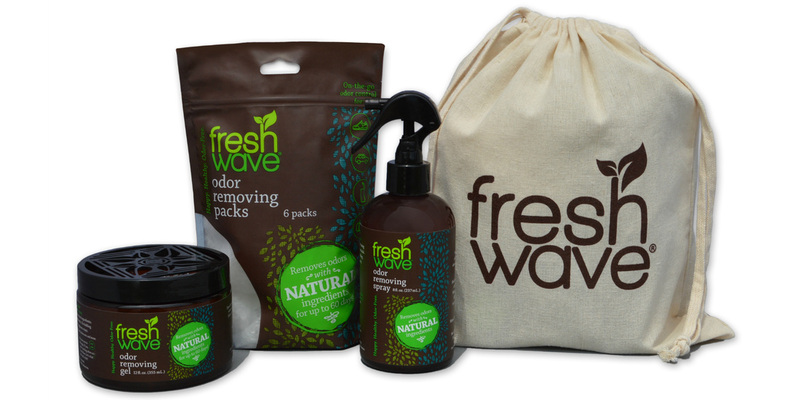 Fresh Wave uses only natural ingredients to remove odors. No masking fragrances. No harsh chemicals. No more odors! The Grand Prize winner will receive a 3-pack set of Fresh Wave's odor removing gel, odor removing packs, and odor removing spray. 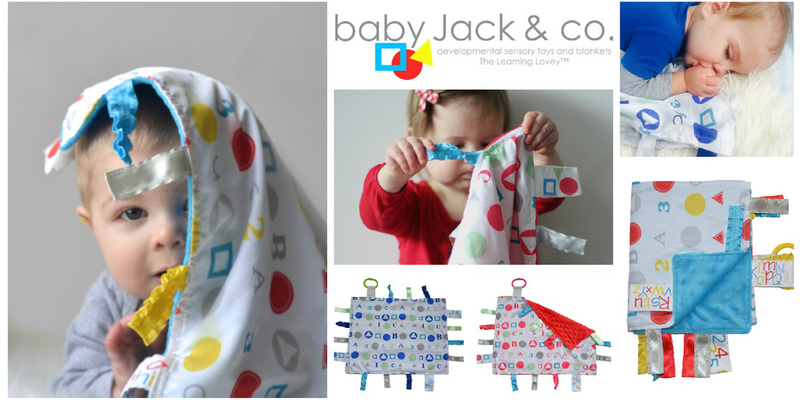 Baby Jack & Co Lovey, is a great gift idea for babies and kids of all ages. Ribbons on tag blankets allow for comfort, entertainment and tactile stimulation as kids develop cognitively, socially and emotionally through sensory play. They love to rub, chew and play with the ribbons. Ribbons are sewn shut for added safety to avoid tiny fingers from getting stuck in loops. Not only are these loveys cute, comforting, and educational, they're also a family affair - all prints are designed by the company's founder - a mother, along with her two young children. The Grand Prize winner will receive one Learning Lovey (design of winner's choice), an educational blanket that encourages early learning of basic shapes, colors, letters and numbers. 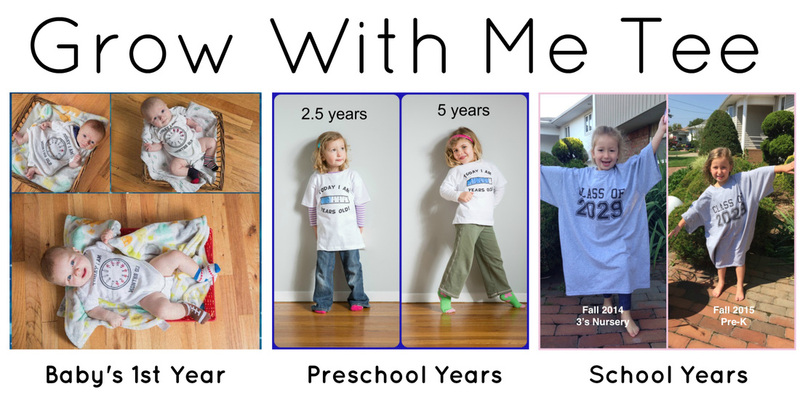 Grow With Me Tee has 3 different tees, Baby's First Year onesie, the Preschool Years tee, and the School Years shirt with the year they will graduate high school printed on it. The Grand Prize winner will receive their choice of any one of these 3 tee designs. 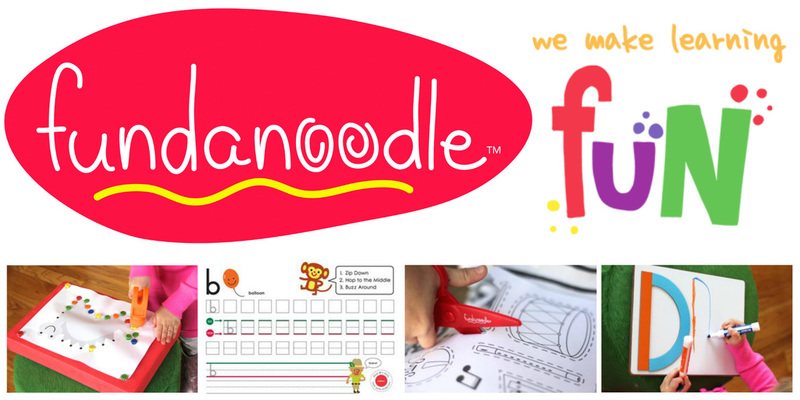 Fundanoodle products and activities are designed by elementary school teachers and pediatric occupational therapists to help children develop the motor skills needed to succeed in and out of the classroom. Utilizing these tools at home, parents can create a fun and relaxed learning environment for their child. 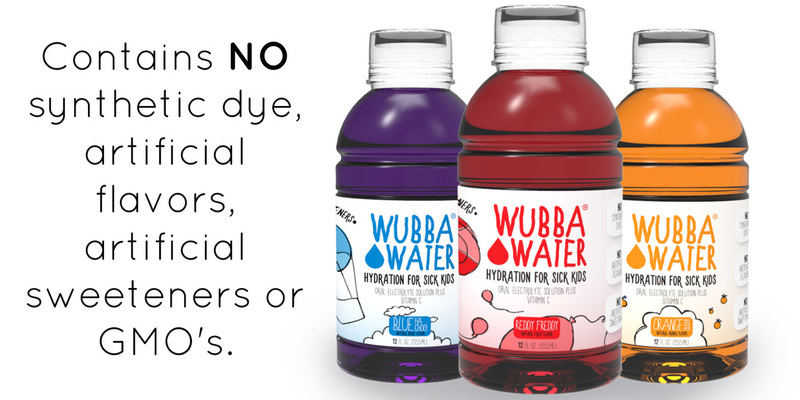 Wubba Water is a children's hydration drink free of synthetic dyes, artificial flavors, artificial sweeteners, and GMO's. Colored only with fruit and vegetable extracts and having only 1 gram of organic sugar per serving, Wubba Water is a healthier way for your little one to replenish water and electrolytes when sick (and they'll get a Vitamin C boost). The Grand Prize winner will receive a 3-pack (one of each flavor - blue raspberry, fruit punch, and orange). The Back to School Bonanza giveaway is hosted by US Japan Fam and open to US residents ages 18 and over. Simply enter to win via the Rafflecopter entry box below.The more entries that are completed via Rafflecopter, the more points you earn for a higher chance of winning. The giveaway will end at 11:59PM EST Thursday, September 15. 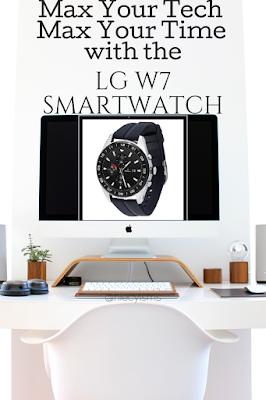 The winners will be randomly selected, e-mailed on the 16th, and given 24 hours to respond before new winners are selected (so keep an eye on your junk email inbox).